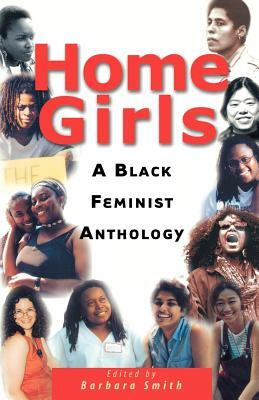 The pioneering anthology Home Girls features writings by Black feminist and lesbian activists on topics both provocative and profound. Since its initial publication in 1983, it has become an essential text on Black women's lives and writings. This edition features an updated list of contributor biographies and an all-new preface that provides a fresh assessment of how Black women's lives have changed-or not-since the book was first published. Contributors are Tania Abdulahad, Donna Allegra, Barbara A. Banks, Becky Birtha, Julie Carter, Cenen, Cheryl Clarke, Michelle Cliff, Michelle T. Clinton, Willie M. Coleman, Toi Derricotte, Alexis De Veaux, Jewelle L. Gomez, Akasha (Gloria) Hull, Patricia Jones, June Jordan, Audre Lorde, Raymina Y. Mays, Deidre McCalla, Chirlane McCray, Pat Parker, Linda C. Powell, Bernice Johnson Reagon, Spring Redd, Gwendolyn Rogers, Kate Rushin, Ann Allen Shockley, Barbara Smith, Beverly Smith, Shirley O. Steele, Luisah Teish, Jameelah Waheed, Alice Walker, and Renita Weems. The survival of these women and their joy makes Home Girls very satisfying. A provocative and important new collection. Pungent and varied, full of questions, convictions, and insights.